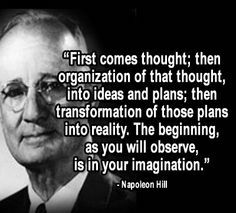 Napoleon Hill (October 26, 1883 – November 8, 1970) was an American author in the area of the new thought movement who was one of the earliest producers of the modern genre of personal-success literature. 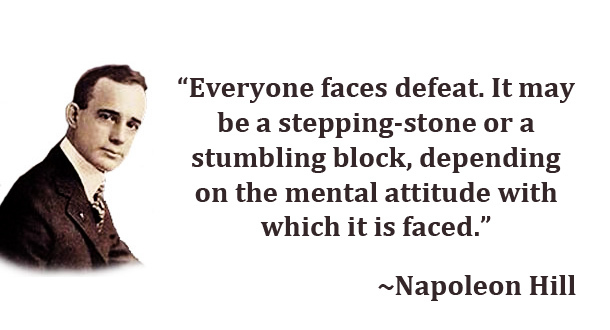 He is widely considered to be one of the great writers on success. 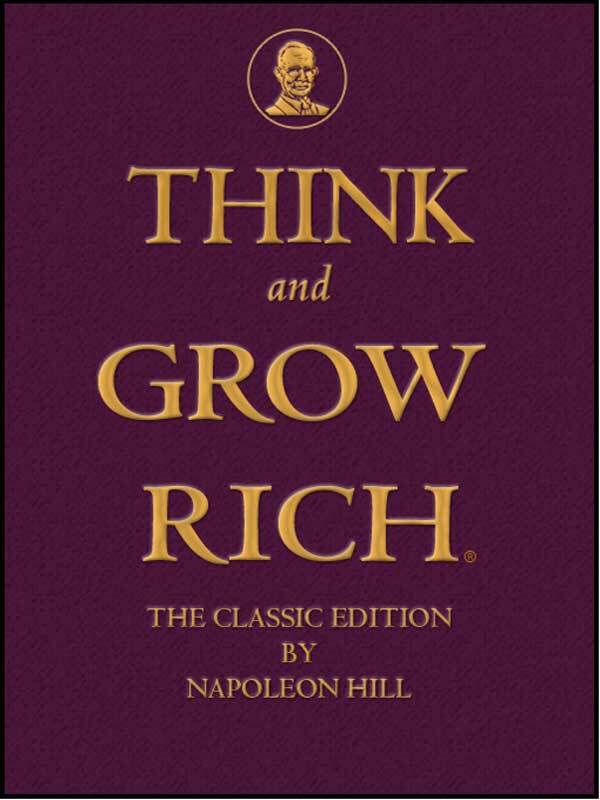 His most famous work, Think and Grow Rich (1937), is one of the best-selling books of all time. Hill’s works examined the power of personal beliefs, and the role they play in personal success. 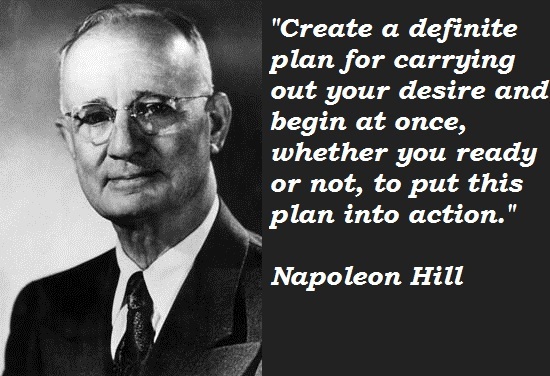 He became an advisor to President Franklin D. Roosevelt from 1933 to 1936. 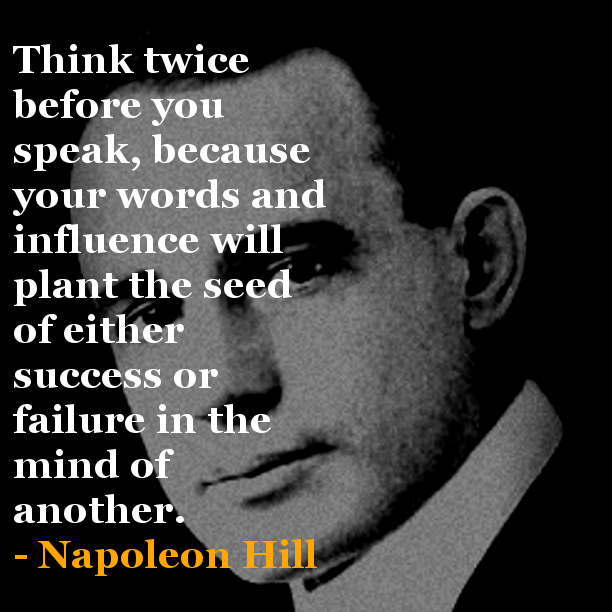 “What the mind of man can conceive and believe, it can achieve” is one of Hill’s hallmark expressions. How achievement actually occurs, and a formula for it that puts success in reach of the average person, were the focal points of Hill’s books. 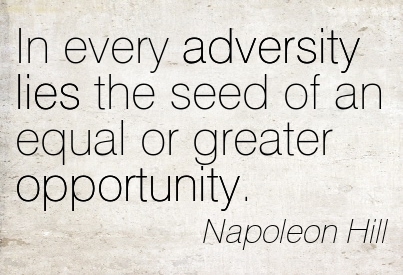 I bargained with Life for a penny, And Life would pay no more.